It was the year 1907, when Stephen Romanazzi in Putignano, Bari, put up a small workshop, suitable for construction of the first, romantic carriages of many years ago. The activity, held at the home Romanazzi same family, lived in his early years, a particularly happy period, which culminated in 1912 with the transfer of the capital in Bari, the work of his son Nicholas who just happened to his father disappeared. As someone who was far-sighted, Nicola Romanazzi directs suffered its entrepreneurial efforts towards those priorities in the transport market in those years it was gradually more demanding, producing cars for the first trams drawn by horseback. Despite the vicissitudes that in the late 20's characterized the world economy, while Italy had buckled in the minor effects of the economic crisis overseas, the company was able to effectively overcome the obstacles, investing additional resources, having acquired a new home, also in Bari, and 70 very committed workers. 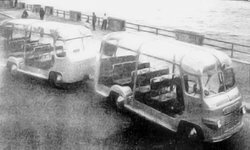 From that moment, and until the outbreak of the Second World War, production was specialized in the field of motor vehicles for the new centers of Italian expansion abroad. At the end of World War II, with a renewed impetus, we proceeded to the reconstruction of Bari, while the desire to resume pushed the Family, to open a new office in Rome where you will transfer the headquarters of the Company. Since then, starting from the business group, the rise of the domestic market, which places them in a little, Officine Romanazzi, among the first companies in its sector. In 1950, the death of Nicola, succeeds the conduct of collegiate four children, Stephen and Aurelius, and Paul in Bari with Benedict in Rome. 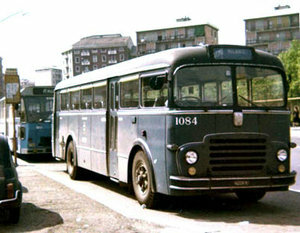 The increase of the distribution network, hand in hand following the rapid rise of the Company, in fact, at the end of that decade and early next year, the two headquarters, there are those of Cagliari (1958), Naples (1962), Palermo (1963), Brescia (1964) and Turin (1967), as the brothers Romanazzi, managed to absorb with great enterprise, the economic difficulties that hit the country in those years. During the same period would start an important stage of retraining of staff, with the adoption of courses, the use of high-tech equipment, the creation of highly specialized services, also to provide to customers, addressed with a new managerial spirit, a high quality service projected well beyond the standards of those years. The partnership, launched in the early '70s with FIAT, IVECO then pushes the brothers Romanazzi to open branches abroad, particularly in France and Germany, where the manufacturer has long torinese started the implementation of part considerevole del proprio prodotto. The production of those years, there is a national level, with the creation of semi/trailers, dumpers, tipper alloy, added that boards are distributed nationally, throughout European, North Africa, Middle and Far East. The adoption of technologically advanced machinery, has enabled the development of a new production line for the fixed, made up entirely of stainless steel alloy with banks and solutions regarding accidents that have made the Romanazzi, the main partner in the business Iveco. The production standard that was built in Rome, was supported by the achievements made in plants Bari, who have increasingly played a kind of commercial activity, so much so that in 1973, the company run by Stefano and Aurelio Romanazzi, has the mandate IVECO dealership for the sale of vehicles in the province of Bari and bus for Puglia and Basilicata.